TOKYO - Prime Minister Shinzo Abe on Friday thanked Spanish football superstar Andres Iniesta, who now plays in Japan, for posting social media messages about the country and local tourist attractions. "You have spread information on Japan. Maybe because of that, the number of Spanish tourists has increased," Abe told the 34-year-old Vissel Kobe midfielder when he visited the prime minister's office in Tokyo. 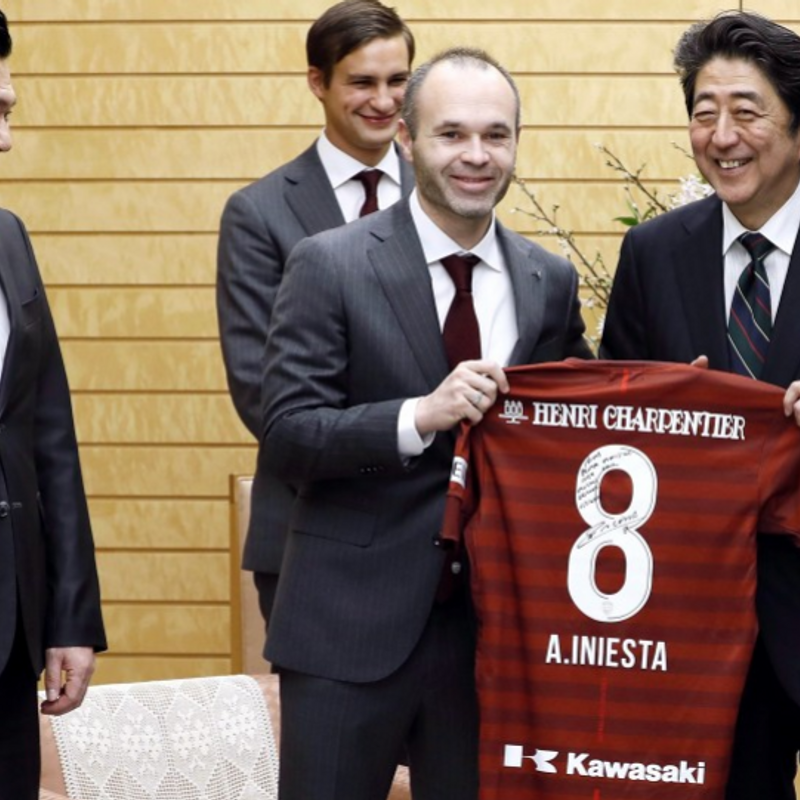 Iniesta told Abe he enjoys life in Japan with his family, and has traveled to Kyoto and Nara prefectures, both of which are major tourist destinations in western Japan. He also told reporters through an interpreter that he is eager to contribute to Vissel Kobe's success. Vissel Chairman Hiroshi Mikitani, who is also CEO of online shopping giant Rakuten Inc., accompanied Iniesta on the visit.